In Wilmington, Ohio, five days later, Trump said that as he was “getting off the plane, they were just announcing new WikiLeaks, and I wanted to stay there, but I didn’t want to keep you waiting.” “Boy, I love reading those WikiLeaks,” he added. Last year, an unsealed court filing that included Assange’s name inadvertently revealed that he had been indicted by the U.S. government. That indictment, on conspiracy charges stemming from the hacking, was made public on Thursday. 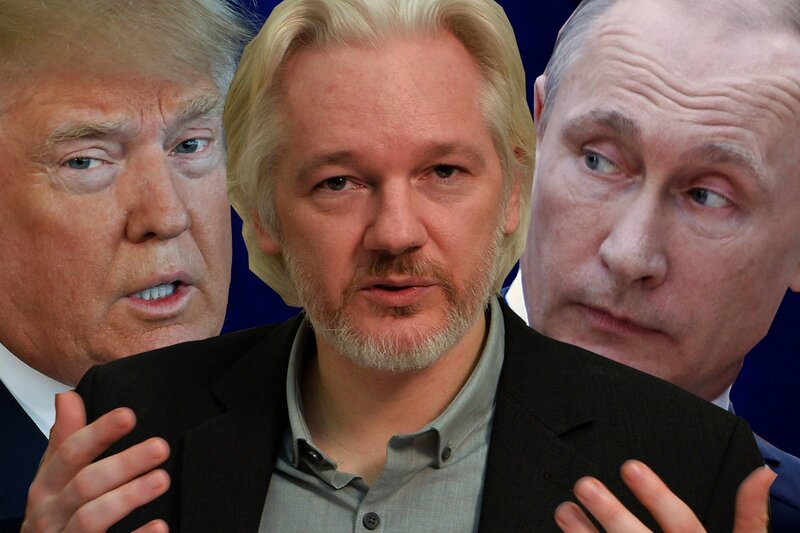 Assange was not charged with espionage or with disclosing classified information on WikiLeaks. WikilLeaks Julian Assange hacked my e-mail account and my correspondence (instructions for Hillary Clinton on her presidential campaign) with Stratford. The instructions have been used by Donald Trump after Assange sent them to Putin, his active supporter. Putin sent them to Trump who got the Oval Office in 2016. The Global Intelligence FilesOn Monday February 27th, 2012, WikiLeaks began publishing The Global Intelligence Files, over five million e-mails from the Texas headquartered "global intelligence" company Stratfor. The e-mails date between July 2004 and late December 2011. They reveal the inner workings of a company that fronts as an intelligence publisher, but provides confidential intelligence services to large corporations, such as Bhopal′s Dow Chemical Co., Lockheed Martin, Northrop Grumman, Raytheon and government agencies, including the US Department of Homeland Security, the US Marines and the US Defence Intelligence Agency. The emails show Stratfor′s web of informers, pay-off structure, payment laundering techniques and psychological methods. [Analytical & Intelligence Comments] "THE PROFESSIONAL" system by	Kryzhanovsky (White House Special Handbook). Kryzhanovsky (White House Special Handbook). He moved to USA in 1995 and worked here for CIA as expert. if you don′t have to do it yourself. Part I. TOP POLITICAL MANAGEMENT. Chapter 2. The White House management. Chapter 4. The U.S. Congress management. Part II. TOP ESPIONAGE MANAGEMENT. Chapter 4. How to run agents. PART III. TOP MILITARY MANAGEMENT. Chapter 2. Strategy and tactics. Chapter 1. What happened to them ( a united anti-CIA file). Kennedy, Pope John Paul II, Ronald Brown, Diana Spencer, John Kennedy Jr.